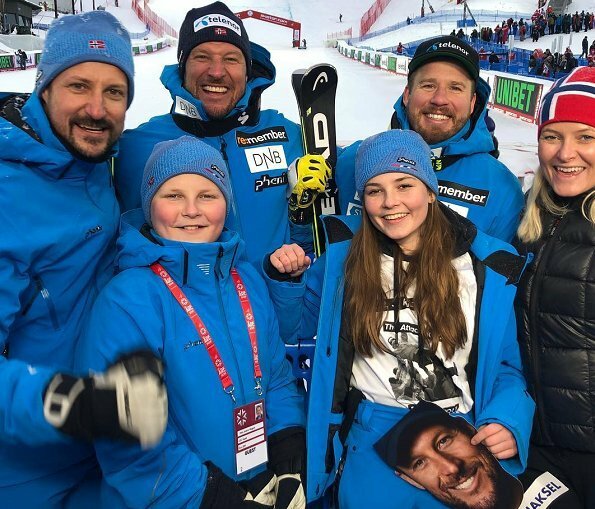 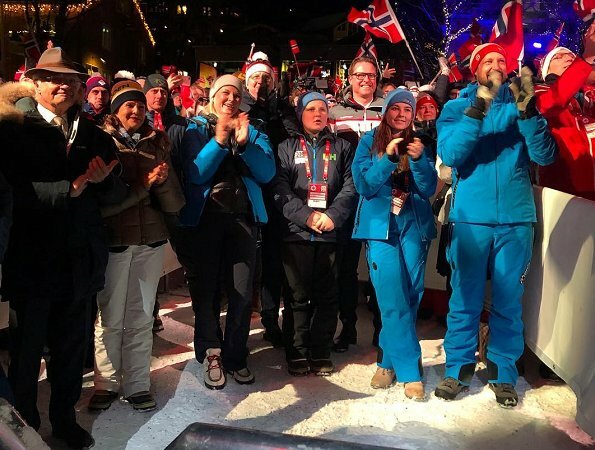 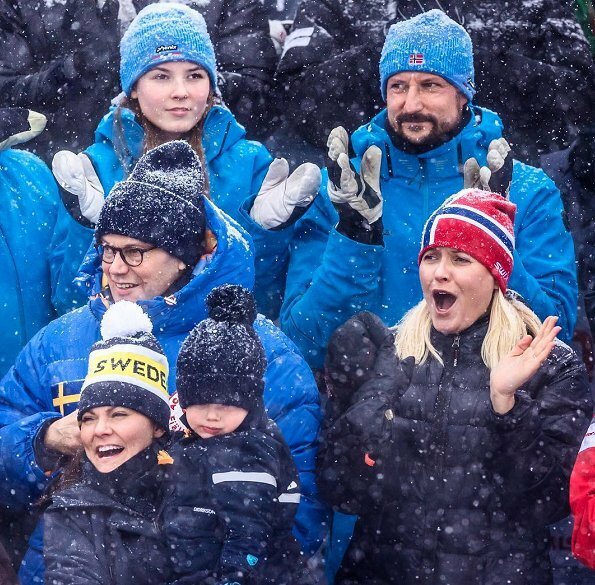 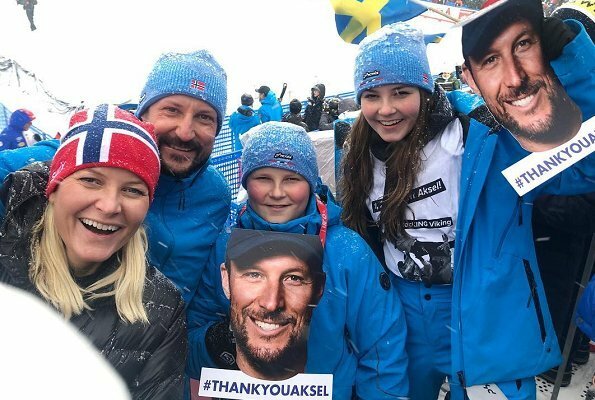 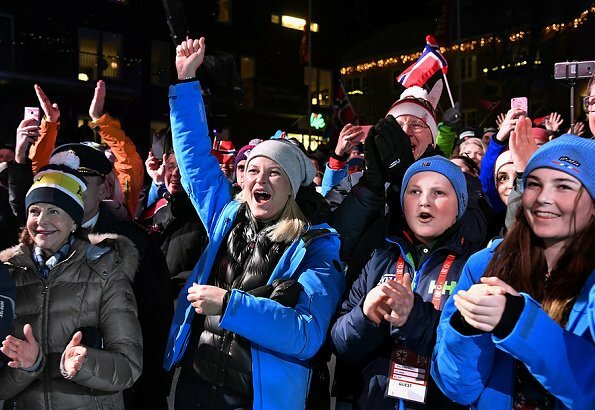 On the second day of their presence in Åre for Alpine World Ski Championships 2019, King Carl Gustaf, Queen Silvia, Crown Princess Victoria, Prince Daniel, Princess Estelle and Prince Oscar of Sweden, Crown Prince Haakon, Crown Princess Mette-Marit and their children Princess Ingrid-Alexandra and Prince Sverre Magnus of Norway attended the Men's Downhill event at the National Arena in Åre, Sweden. 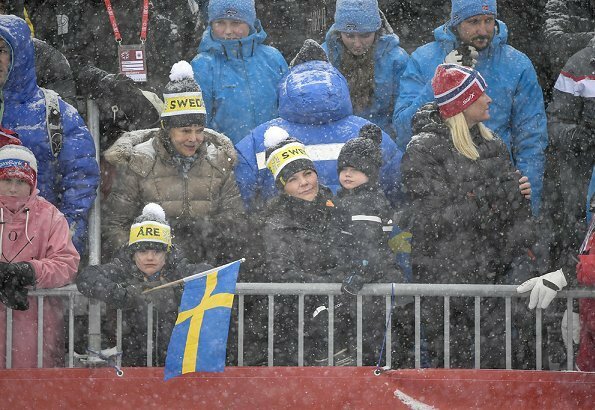 The royal families will be present at the championships until February 10, Sunday. 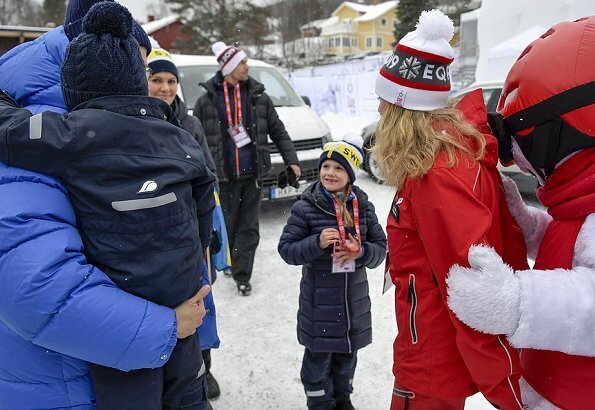 Both Royal Houses represented, how nice to see CP Mette Marit doing so well. 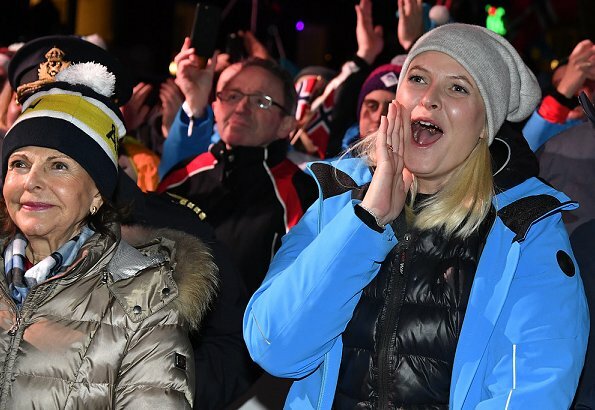 The fresh air must do her good. 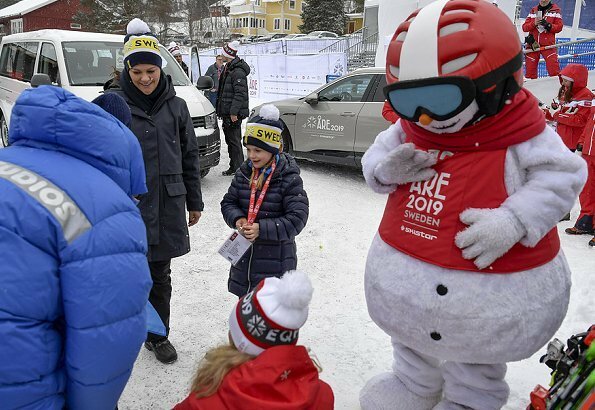 Fun for everyone. 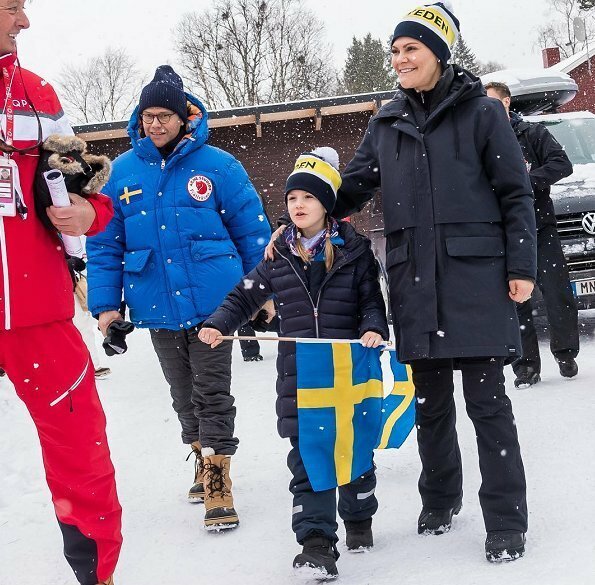 Nice to se the two royal families having fun together. 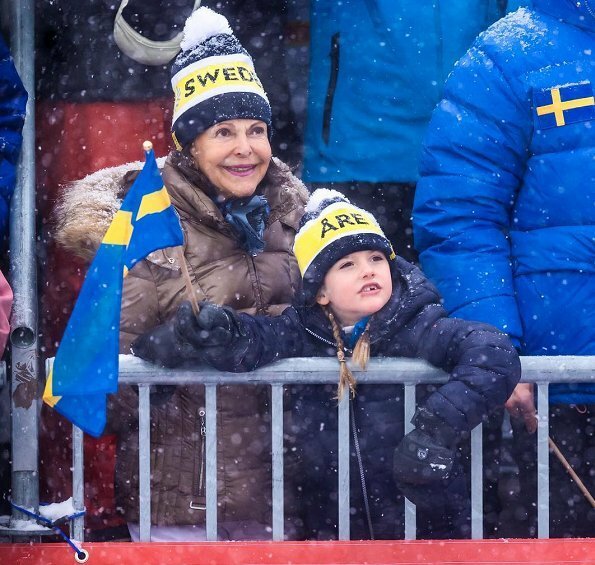 Estelle is cute and Oscar is as usual. 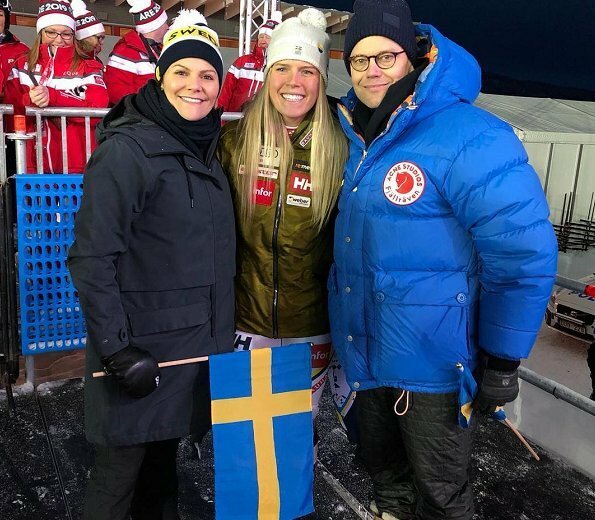 Inrid Alexandra is very beautiful.